So keeping it organized with a few good ideas is the greatest solution you can find in this case. 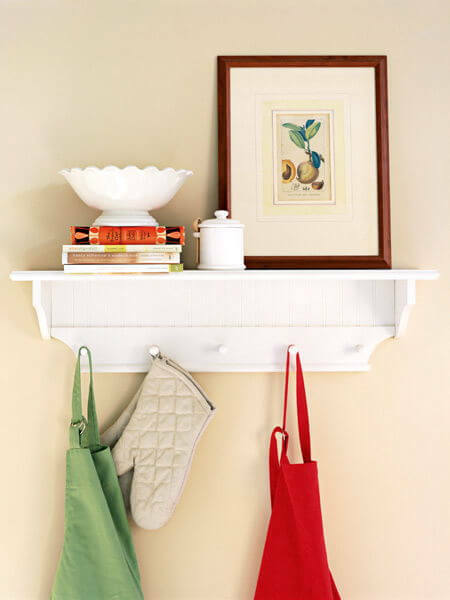 Here are 15 smart tips that will help turn your kitchen into a better place. Don’t leave your aprons and dish towels spread across the kitchen. Hang them and you will see the difference in the organization of this room. 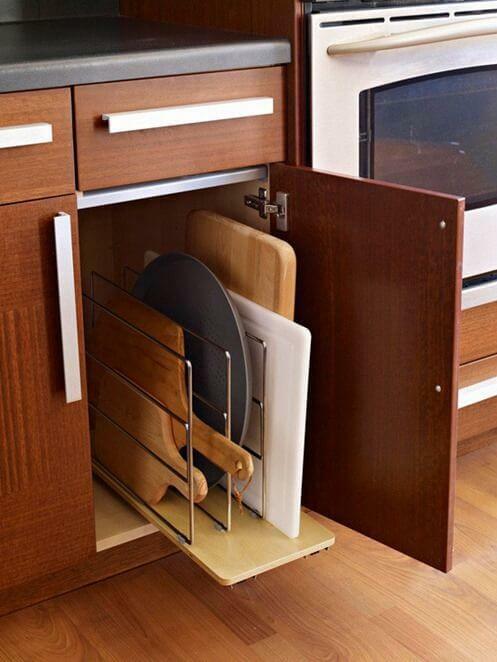 If you have a small kitchen, using the vertical space available is a great idea. Check out this DIY pegboard and get inspired. Again: vertical space! 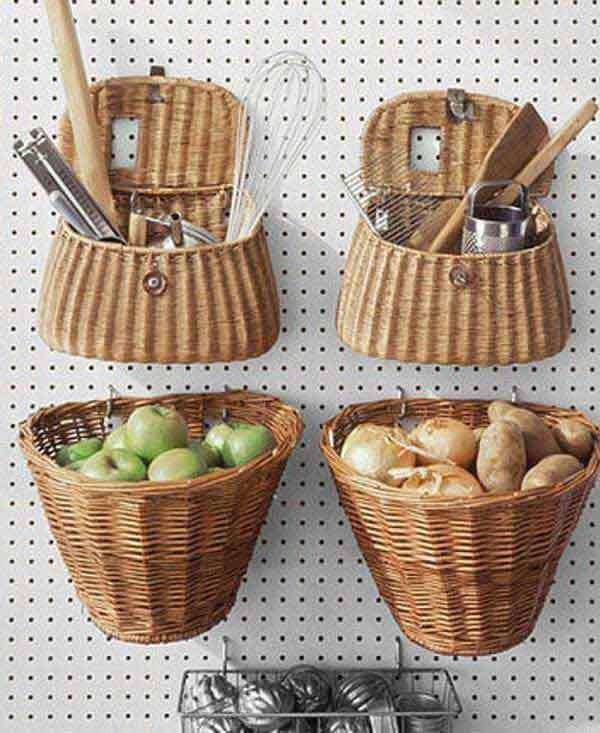 Hanging baskets and organizing them with different types of content can really boost your kitchen’s organization. 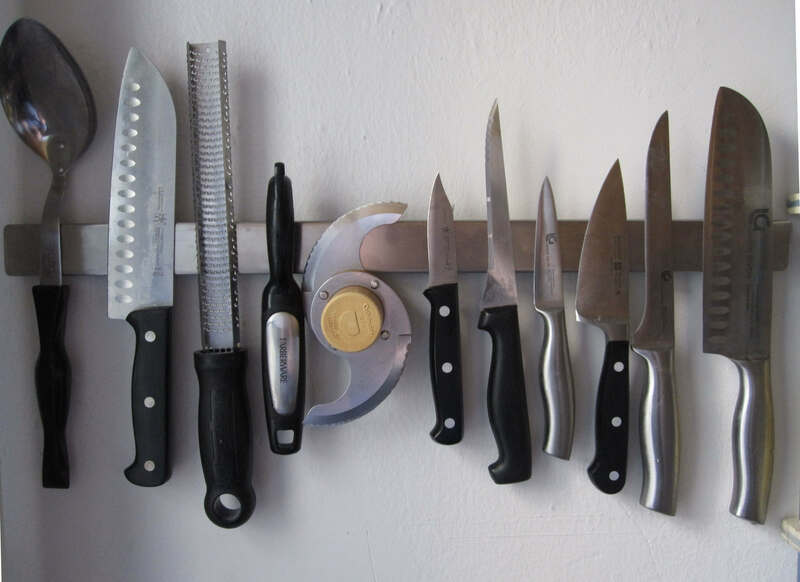 Hanging sharp objects might not be a good idea in some cases, but it’s an excellent way of organizing your kitchen utensils. 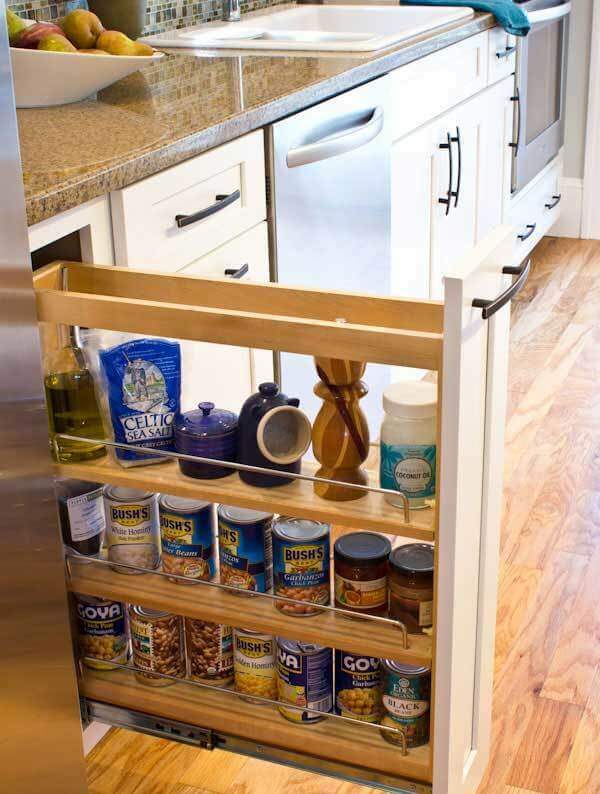 If you have the chance of transforming one of your kitchen cabinets, create a roll-out rack in one of them to more easily organize your spices and food cans. 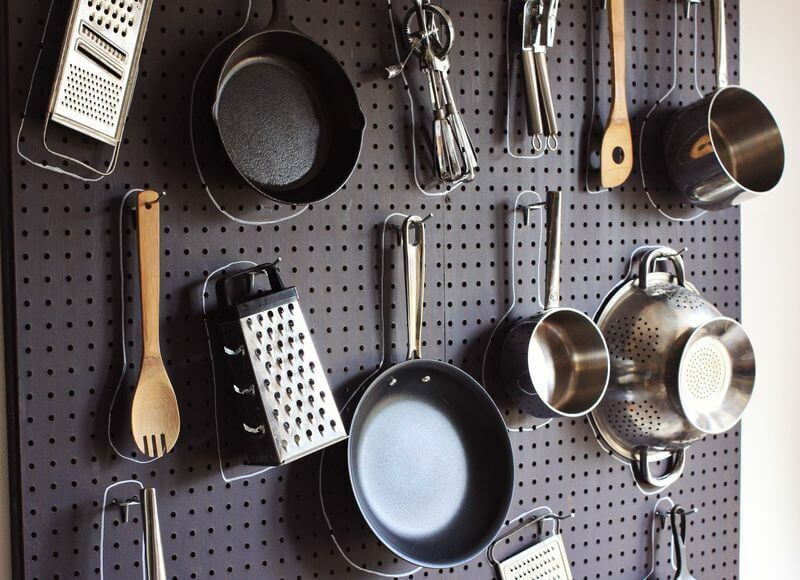 Don’t know where to get a pegboard? 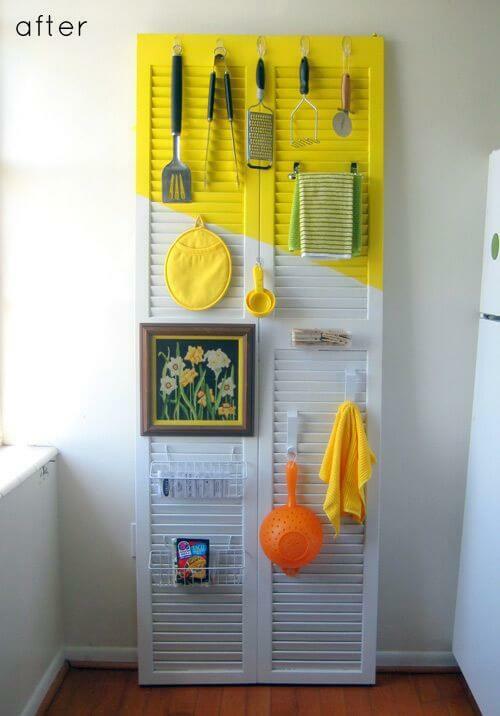 That’s fine: just get an old shutter door and use it to hang your kitchen tools. 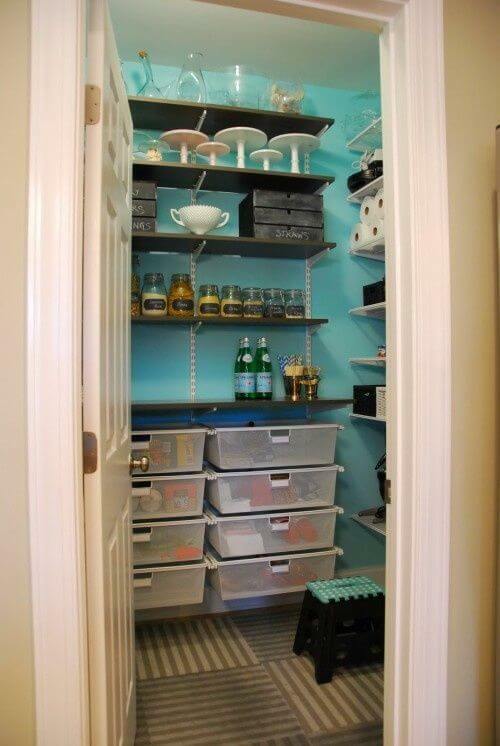 Several shelves and plastic boxes can work miracles in your pantry if you’re going for an organized space. 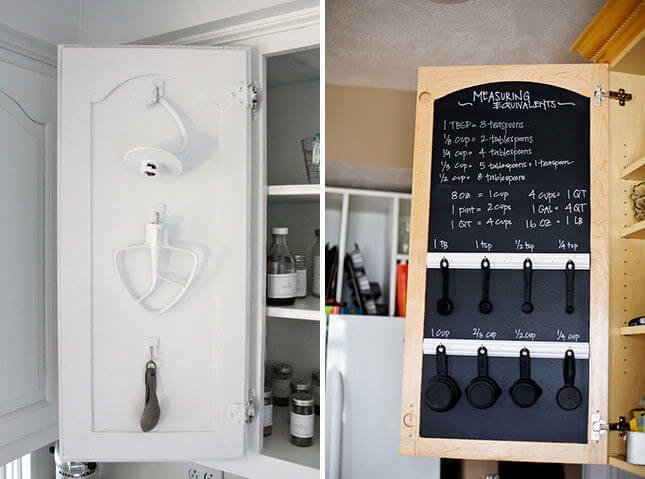 Line the inside of your cabinet doors with chalkboard and use it to “label” your utensils. 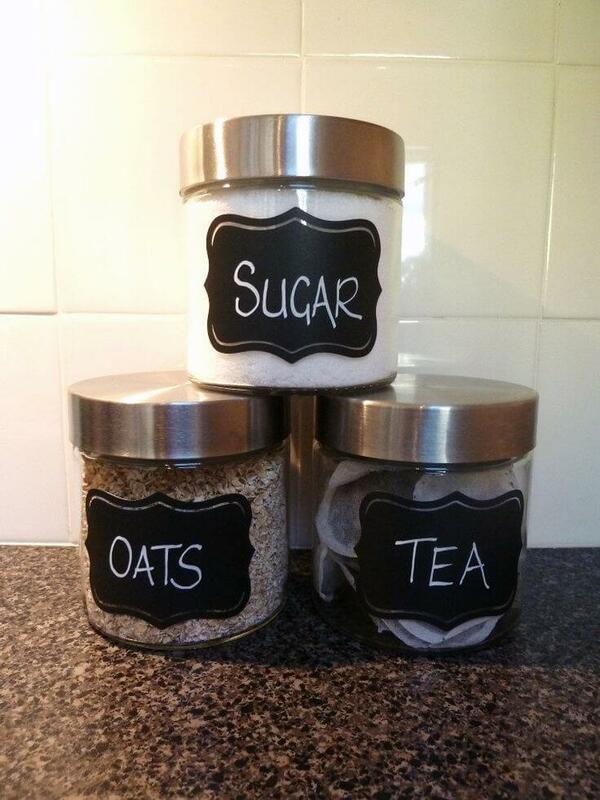 Chalkboard labels are a stylish and very fun way to organize your kitchen and food. 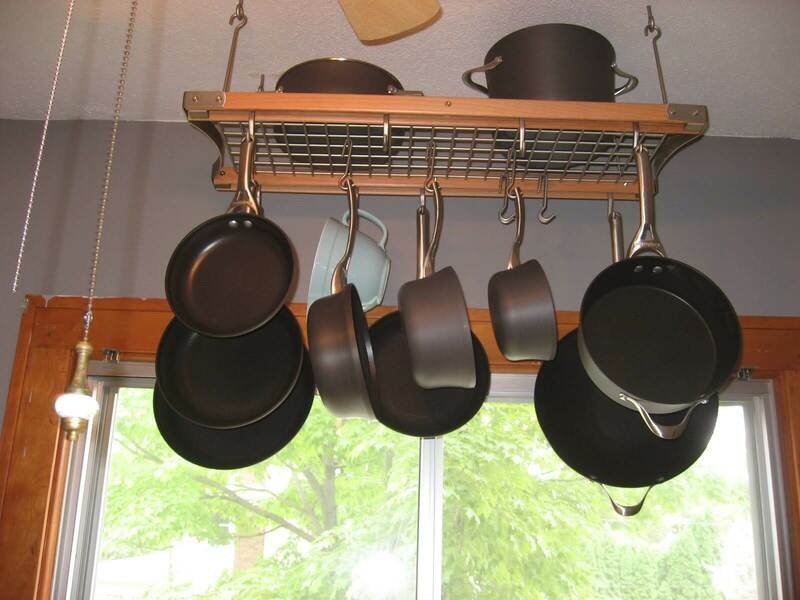 Use one of these special hangers to organize your pots all in the same accessible spot. Cooking will be so much easier! 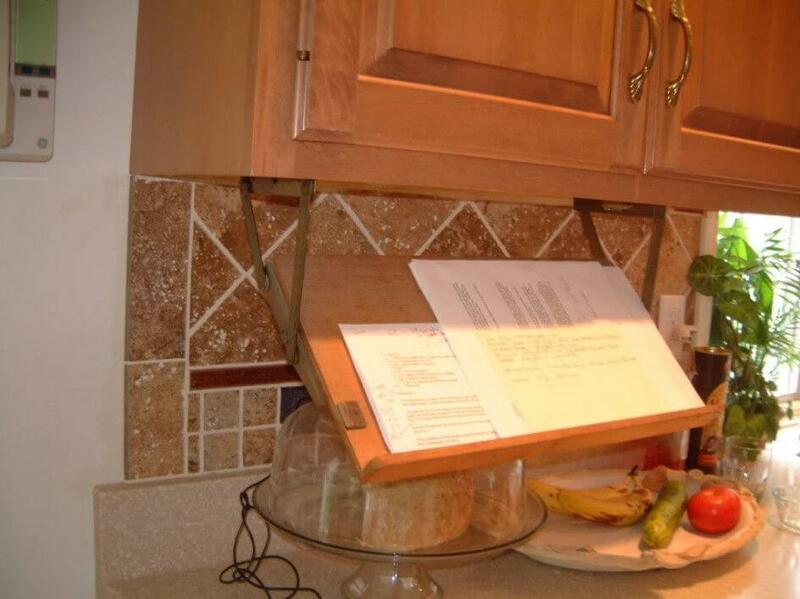 If you love to cook, you probably already had to endure the difficulty of trying to reproduce a recipe while holding a cookbook. That won’t happen if you have one of these. 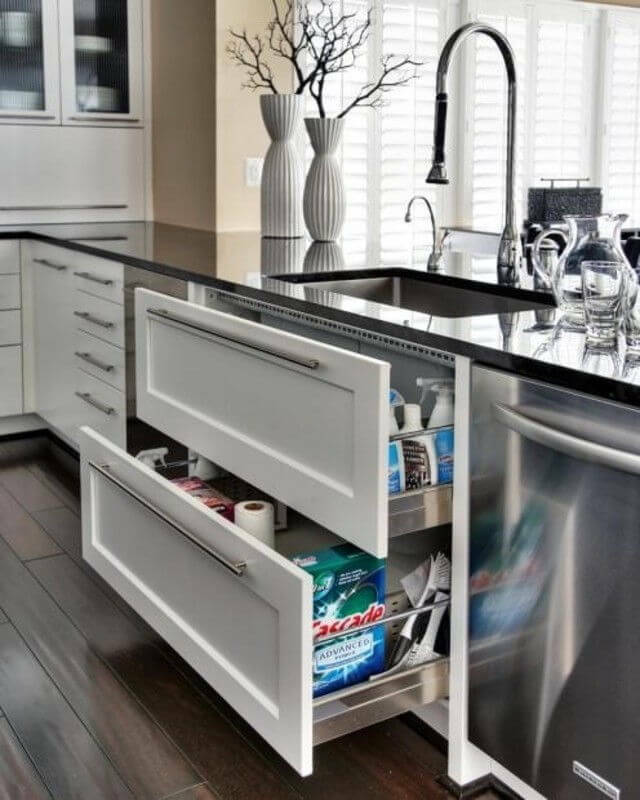 It’s not very usual, but there’s the possibility of creating storage space under the kitchen sink. Even drawers! Maeke the most of your drawer’s space by storing their content diagonally. 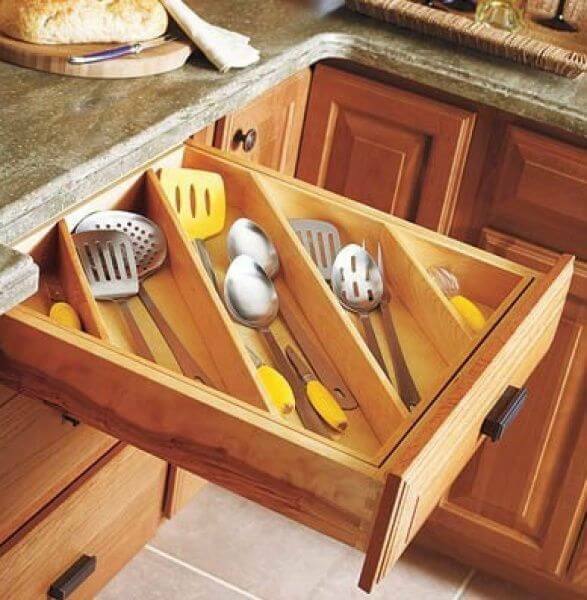 Storing the big utensils is not always easy, but a simple system like this one can solve your problem. 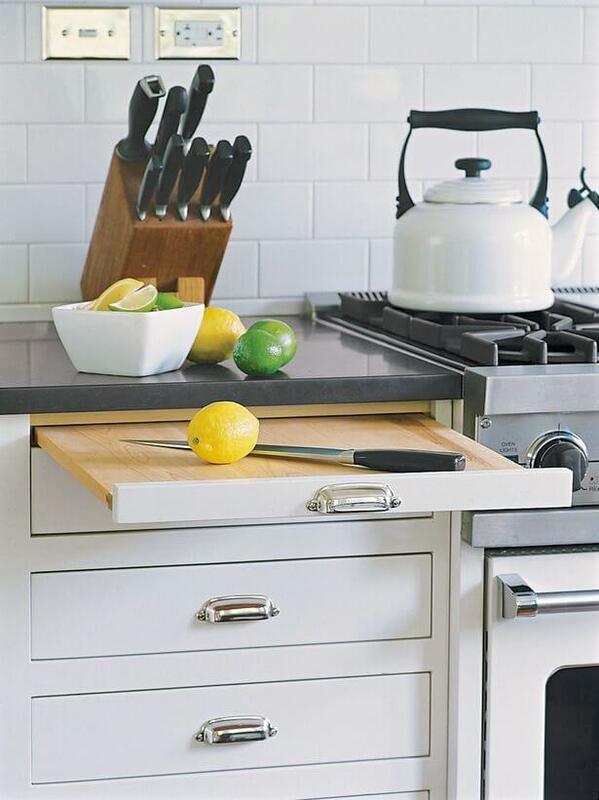 Chopping boards are one of the most difficult items when it comes to kitchen storing. Unless you have one of these.